Here’s the latest and greatest from The BEauty Department! We saw this and thought what a lovely hair-do for the Summer. Embrace your inner bohemian. Let us know how it turns out! Start with straight, wavy or curly hair. I personally like this best with a little wave or curl because the crown of braids holds better with texture. Grab a section of hair above the ear and split it into 2 pieces, like our lovely Nora is doing in this photo. Cross them over each other as seen above and clip them to hold them in place while you do the same thing on the other side! If your hair is short and won’t reach, do 3 or 4 intersections of hair instead of just 2! Once you finish the other side, take the two braids that go over the top, cross them over and pin them using small but strong bobby pins. Take the two pieces that will go backward and tie them together. 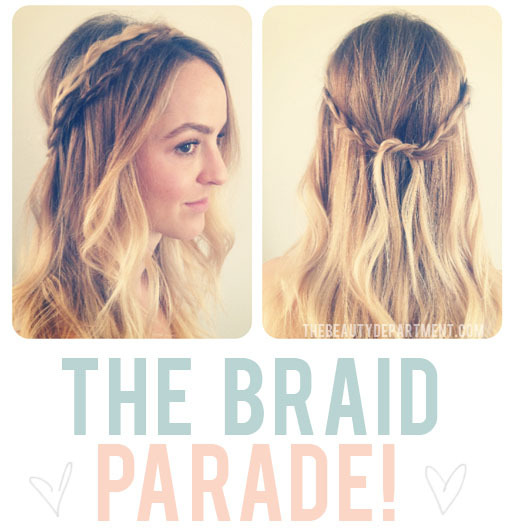 Add a couple of pins where the braids meet. 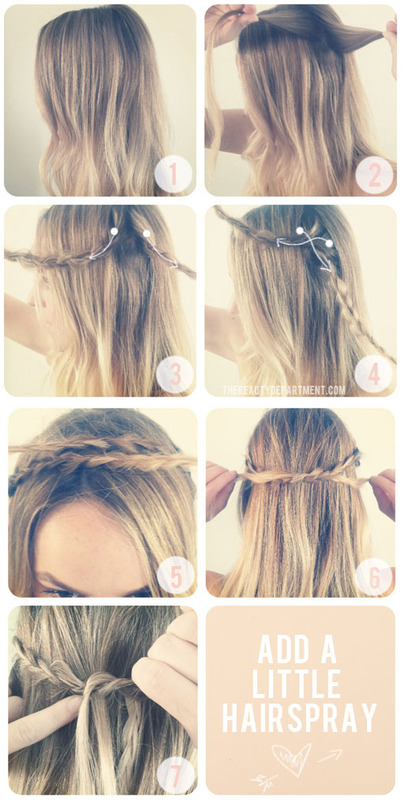 Add a few extra bobby pins around the crown of braids to keep them from slipping or moving. A veil of hairspray isn’t necessary but will help keep things in place if your hair tends to slip.